The by now well-known story of Henrietta Lacks imparts human drama to the development of the first immortal human cell line. But there is another drama that, despite scant critical attention, raises significant questions that continue to trouble genomic research and the biotech industry. 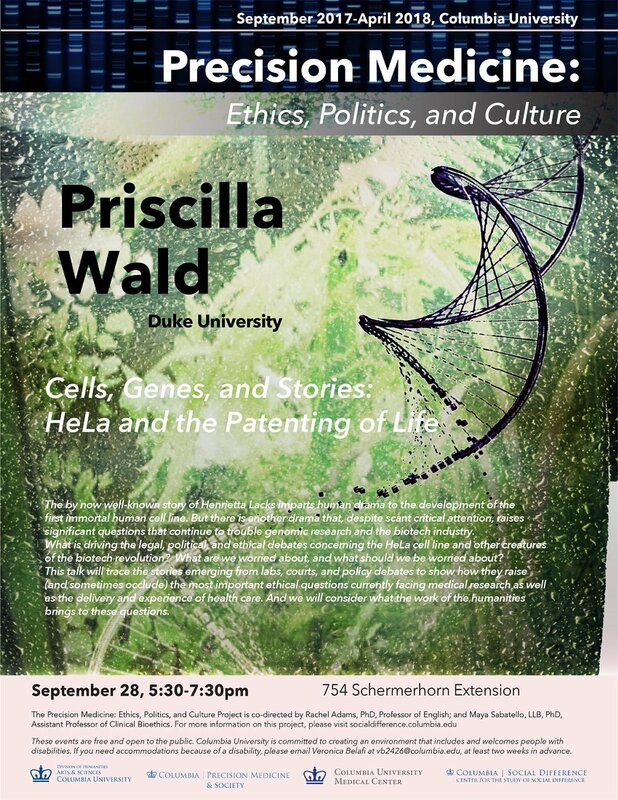 What is driving the legal, political, and ethical debates concerning the HeLa cell line and other creatures of the biotech revolution? What are we worried about, and what should we be worried about? This talk will trace the stories emerging from labs, courts, and policy debates to show how they raise (and sometimes occlude) the most important ethical questions currently facing medical research as well as the delivery and experience of health care. And we will consider what the work of the humanities brings to these questions.